Got hold of this article through KDE Planet. It's great to get Xmas presents from someone I don't know. You're absolutley right! 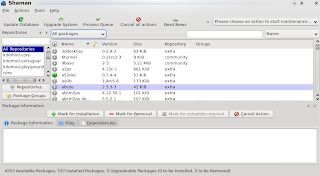 I also tried the live cd and KDE really shines, kudos to the devs. Kwin effects, NVIDIA driver, everything works like a charm. 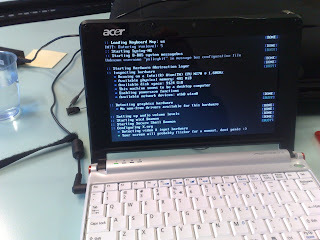 My notebook currently runs PcLinuxOS, but when 4.2 is stable I'll definitely switch to Chakra / Arch. I like the Chakra FAQ. Very clear and modest too, accepting that it is not for everybody, not abusing other distros. This sounds like an interesting distro, but how does it compare to Kubuntu? I mean, I'm an experienced Linux user so I can handle Arc Linux' difficulty, but why would I want to choose Chakra over Kubuntu? To be more specific, you mentioned the rolling release schedule as an advantage, but what is the effect of the policy to deviate from upstream as little as possible? Kubuntu is quite close to upstream as well, right? And where it does deviate from upstream, like the automatic codec search and download, it's quite a good thing, isn't it? 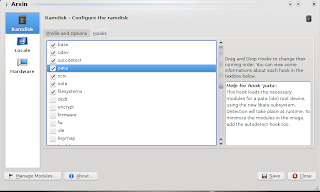 KDEmod's KDE 4.1 is not anywhere near vanilla, they have tons of Plasma backports: they use plasma-4.1-openSUSE wholesale, plus at times assorted other backports. I had waited for something like this, and now I'll give a try to this distro, cool since its slogan. When the torrent finishes, I'll try my Christmas present. Thank you! @Kevin Kofler: Not 100% correct... we had a bunch of backports once, but most got removed, since they were pretty buggy :/ Now it's almost vanilla (only 2 patches applied or something like that...).